Identifying free-ridership is significant to several issues relevant to program evaluation, including the calculation of net program benefits and assessments of political acceptability. Despite the potential of free-ridership to seriously undermine the economic efficiency of a program intervention, for instance to foster energy efficiency, the issue remains largely absent from contemporary environmental and energy policy discussions in Europe. One reason for this neglect is the inherent difficulty of assessing which households would have undertaken the energyconservation activity even without the program. 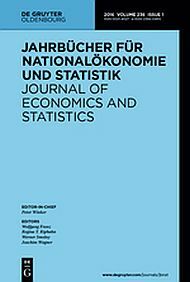 This paper proposes a procedure to calculate the free-rider share using revealed preference data on home renovations from Germany’s residential sector.We employ a discrete-choice model to analyze the effect of grants on renovation choices, the output fromwhich is used to assess the extent of free-ridership under a subsidy program very akin to an implemented grants program in Germany. Our empirical results suggest only very moderate energy savings induced by the program, making free-riding a problem of outstanding importance.